Because of its proximity to the sun, Earth's surface temperature varies widely from the poles to the equator, but the situation is different on Saturn where the sun appears in the sky as a bright star. On the surface, Saturn's average temperature varies from about -185 degrees Celsius (-300 degrees Fahrenheit) to -122 C (-188 F). The temperature variation is due to the planet's internal processes, not the sun. As you dive through the clouds, temperatures increase to Earth-like conditions. At its core, scientists believe Saturn's temperature is more than 8,300 C (14,972 F), which is hotter than the surface of the sun. Earth's 23.4-degree axial tilt is responsible for its seasonal variations. Saturn has a comparable tilt of 26.75 degrees, but it's too far from the sun to experience seasons in the same way Earth does. Nevertheless, ultraviolet sunlight produces signs of seasonal variations in the form of changing colors in the upper atmosphere. With the onset of winter, the hemisphere facing away from the sun takes on a bluish tinge that scientists believe is caused by the reaction of ultraviolet sunlight with methane in the upper atmosphere. The temperatures of the two hemispheres remain about the same, however. Like all the Jovian planets, Saturn generates more heat than it receives from the sun. In Saturn's case, it's more than twice as much, which is more than any other planet. Some of this heat comes from compressive forces at its core, and some heat comes from friction generated by helium rain falling through the atmosphere. These two phenomena combine to maintain a more-or-less uniform temperature on the surface. However, the heat also fuels storms in the upper atmosphere, and the temperature in some of these storms can be warmer or colder than the surrounding atmosphere. When the Cassini probe crashed into Saturn on Sept. 15, 2017, frictional forces burned it up like a meteor. If it had been able to survive, it would have reached a layer of clouds containing water ice and recorded temperatures in a range from -88 C (-127 F) to a comfortable -3 C (27 F). If it had kept going, it would have experienced even warmer temperatures around 57 C (134 F). As it continued – if that were possible – temperatures would steadily rise with increasing atmospheric pressure until it reached the layer of metallic hydrogen that likely forms the interface between the atmosphere and the rocky core. On planets closer to the sun, the temperatures at the poles are colder than at the equator, but on Saturn, the opposite is true. The temperatures at the poles are higher than anywhere else. The stratospheric temperature rises to about -129 C (-200 F) at 70 degrees latitude, while at the poles, it's -122 C (-188 F). Scientists aren't sure why this happens but think it may have something to do with sunlight-absorbing particulates in the atmosphere. Deziel, Chris. "Saturn's Temperature Ranges." 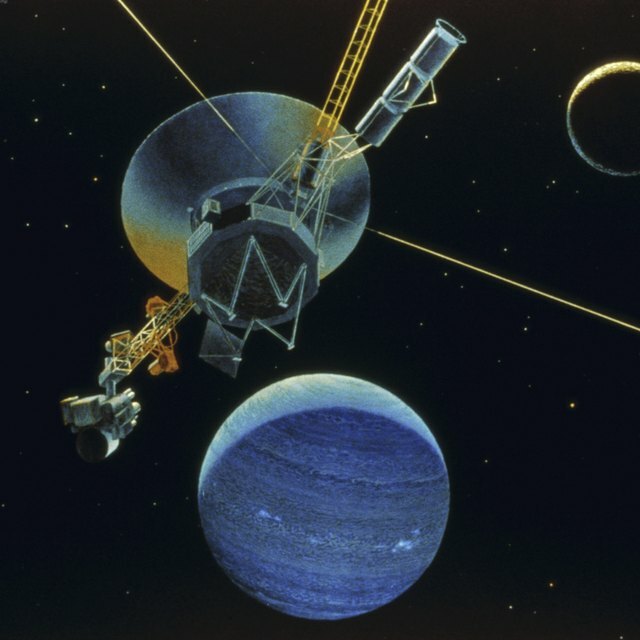 Sciencing, https://sciencing.com/saturns-temperature-ranges-7704.html. 21 April 2018.